OUR publicly loved Warwick Rubbish Rambler, also known as Leonard Monaghan, is a "very private man”. But picking up rubbish since 2008 has enabled him to get out of his comfort zone and also means streets around Warwick have been cleared of more than 58 tonnes of waste over the past 11 years. The local legend hit the 58 tonne milestone this month, which coincidentally reflects his age of 58 years. "This has become such a big part of my life,” Mr Monaghan said. "I'm a quiet person but doing this task gives me a special link to others in the community. "It gets me out of my shell and talking to people. Before he started tidying up the precious landscape, Mr Monaghan said he was always busy and eager to do what we could for those around him. Growing up in a loving, farming family, the waste warrior said it was instilled in him from a young age to always try to help others. 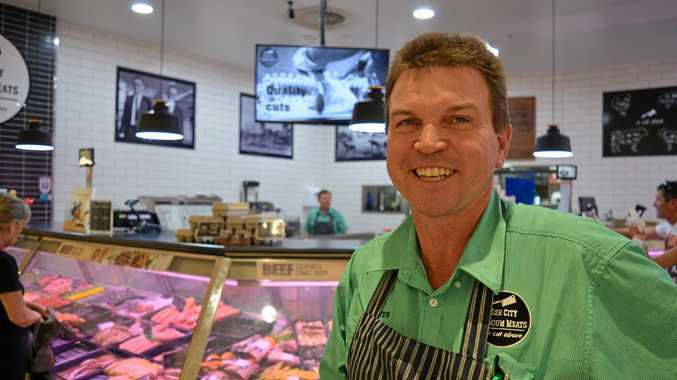 "I suppose I have always been very socially conscious and aware of the way my actions affect others and the environment around me,” Mr Monaghan said. The Warwick Rubbish Rambler first noticed the rubbish around town when he began to exercise in 2007, deciding to take a few plastic bags with him on his daily strolls. Buying a small set of scales at the beginning of 2008 out of interest to see how much the litter weighed, was the start of a "spiral” that took his passion from one extreme to another. "I got a backpack,” Mr Monaghan said. "Then I found a bunch of baby material on the side of the road and I thought, I should put the rubbish in a pram. "That was when I started using strollers and since then I have been modifying them with old bicycles I find at the dump. Reaching the 58 tonne milestone on March 4 gave Mr Monaghan the motivation he needed to crack the 59 tonne mark and nudge ahead of his age. 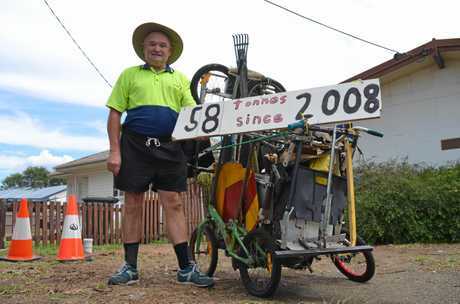 With the goal of reaching 100 tonnes, he said he was feeling more inspired than ever. 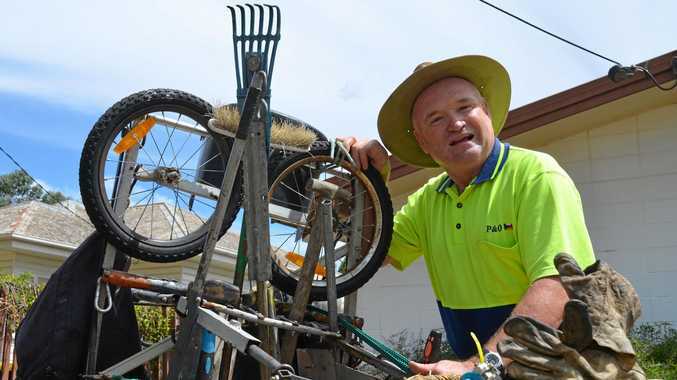 This year alone, he has polished the region of more than 1,440kg of rubbish. "When I look at what I have achieved, I think how on earth did I ever do that?” Mr Monaghan said. "I might wake up one day and say I don't want to do it anymore but at the moment I can't see that happening.